Welcome to Stuart Wright Transport Ltd. We are a family run business dedicated to excellent customer service. 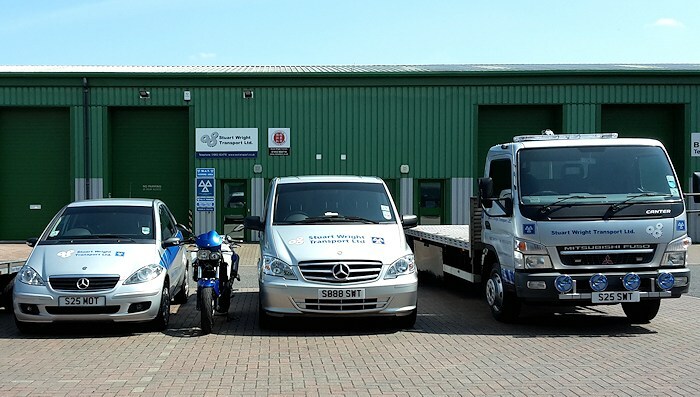 We can transport your vehicle(s) from one location to another nationwide, and Wymondham (Norfolk) is the home of our two automated MOT test lanes. We also carry out South Norfolk District Council taxi tests and MOTs, for both private hire and hackney licensed taxis. Please take a look around our website for details of products and services available, and how to find us. If your require further information please do not hesitate to contact us. Stuart Wright Transport now has greater flexibility with the addition of a Mercedes Vito 116, which can accommodate two Euro pallets and be used in conjunction with a trailer.